We ship right to you. Welcome to Absolute Steel – your Arizona Metal Roofing Source. Our founder is an Arizonan born and raised, and Arizona has been our home base since we opened our doors in 1999. We know what the Arizona climate can do to a roof because we’ve dealt with it first-hand. But that’s not the best reason to deal with us – it’s because we’re going to give you a square deal and the best service and support you’ll find anywhere. There are plenty of roofing options around, but here’s why we deal exclusively in metal roofing, and why so many swear by it. In the scorching summer months, a metal roof cools down quicker at night. That means less work for your A/C and a lower power bill. Another financial advantage comes at tax time. Many metal roof types qualify you for the government’s EnergyStar tax credit. A metal roof is lighter than shingles, tiles or concrete. Easier on your structure, and it can mean that if you’re replacing an old roof, you can often install metal right over it. No removal and disposal headaches or expenses. Metal roofs outlast other types by a wide margin. That’s why many of the panels we offer carry warranties up to 40 years. You’re not going to get that with asphalt or tile. A metal roof is wildland fire resistant – far more so than asphalt shingles. A metal roof is key in FireWise construction. A metal roof is environment friendly. About 56% of the steel that goes into most metal roofs is recycled metal. And it’s all recyclable. 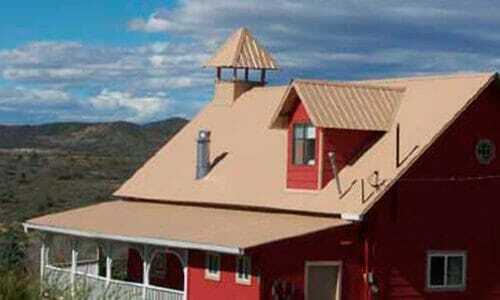 Looking for metal roofing in Arizona? Come visit our design and price center! Everyone likes to do business locally when they can – but aside from that, why do business with us? First, we’re here to serve you. We’re going to help you choose the best product for your needs and budget, then deliver it you your job site. We’ll even recommend a good local installer if you like. Second, we know our products. Our people have years of experience, and they’re just a phone call away if you have questions or concerns at any stage – from selection and shipping to installation, care and maintenance. So you know you’re making the smartest choice, we’ll run a comprehensive cost analysis for you, and give you a quote that includes your shipping. Finally, if you’re taking the Do-It-Yourself route, we’re your best choice hands down. We give you illustrated, detailed installation instructions, clear and simple to follow. Our staff are ready to answer any questions – and they’re right here in your own time zone. From roofing to siding, the Multi-Purpose panel does it all. Concealed fastener panel provides long-lasting beauty. 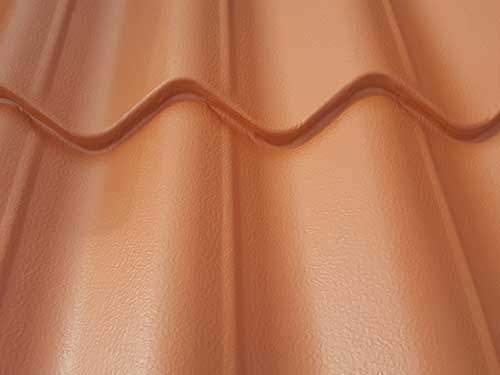 Stylish and strong, metal shingles look great and add value. Our Met-Tile looks just like Spanish Mission tile, and is popular in the Valley metro area. 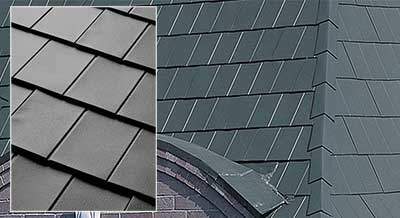 See available metal roofing materials, styles, and colors. 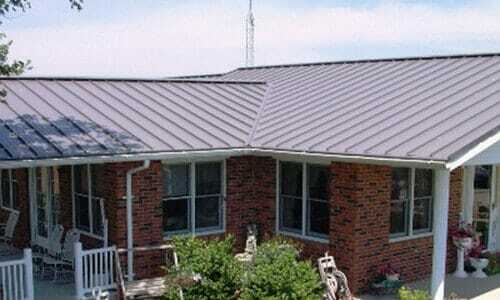 See examples of DIY metal roofing installations done by our customers. Get instant online pricing that includes shipping (within the lower 48 states). You as a purchaser have toll free access to our superlative Customer Service Personnel who can help you out with any question you may have. We have compiled a page of the best tools that we recommend to make the job go smooth and easy! Measuring a roof for materials pricing and installation. Wherever you are in Arizona, when you’re ready for a metal roof, contact us! We serve Phoenix and the Valley of course, but you’ll see our roofs all across the state – in the deserts, in the mountains, on the ranches and reservations, everywhere. We’re looking forward to hearing from you, and seeing you roofed right. Our customer service team will work with you to ensure your order is exactly what you need, and ship you just that and nothing else. Customer service and pricing available from 8:00 am to 5:00 pm MST Monday – Friday.